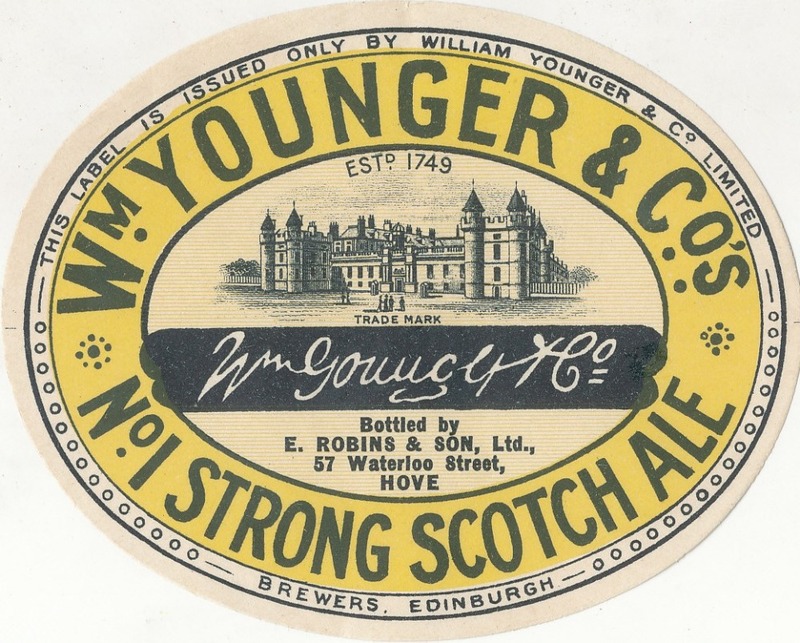 In the first half of the 20th century, William Younger bashed out two Scotch Ales, No. 3 and the more powerful No. 1. Both had been around since the 1850’s at least and managed to survive two world wars. Unlike the other Ales completing the set, No. 2 and No. 4. While No.3 was often sold on draught and filled a similar niche to Burton, No. 1 was more in the tradition of Scotch Ales sold in Belgium. It was dark and pretty powerful. I believe it was discontinued in the 1950’s or early 1960’s. This is so exciting. Because here’s a Younger’s beer that has more ingredients than just pale malt and grits. It has that super-secret exciting ingredient you wouldn’t expect in a Scotch Ale: lactose. It’s about the only example of the use of lactose in a beer other than a Stout that I can recall. I assume it was a way of simulating the high FG beers of this type had in the 19th century. It has one of the highest percentages of malt for a Younger’s beer of this period: almost 60%. That shows how special it was. The hopping is more heavy than style Nazis would have you believe was normal in Scotland. But compared to earlier version, it looks positively restrained at just 50 IBUs. Once again, this would have been coloured up with caramel at racking time. Just pick your shade, as I’m sure it came in several, depending on where it was being sold. Any chance of a 1950s no 1 or 3 recipe? There's a scene in Flann O'Brien's Dalkey Archive where one of his ubiquitous police men explains the mollykewl theory over a glass of Younger's brandy wine (which by the Dublin papers of the time must have been no.1 or 3.) and I've a fierce hankering to brew it. I've a 1949 recipe, if that's good enough.